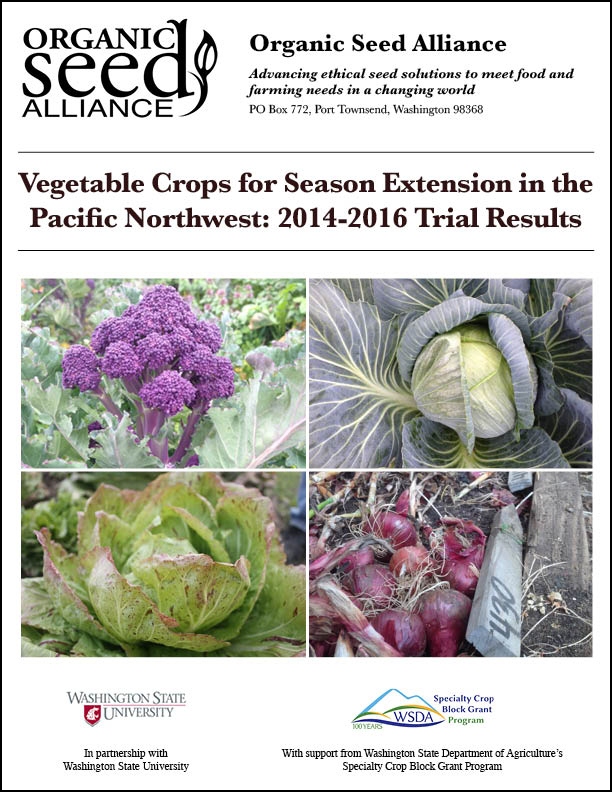 This report includes results from variety trials conducted on organic farms from 2014 to 2016 in multiple locations on the northern Olympic Peninsula in Washington. Trials included nearly 90 varieties of chicory, storage cabbage, storage onions, and purple sprouting broccoli. The report’s data focuses on storage, flavor, winter hardiness, and product quality.